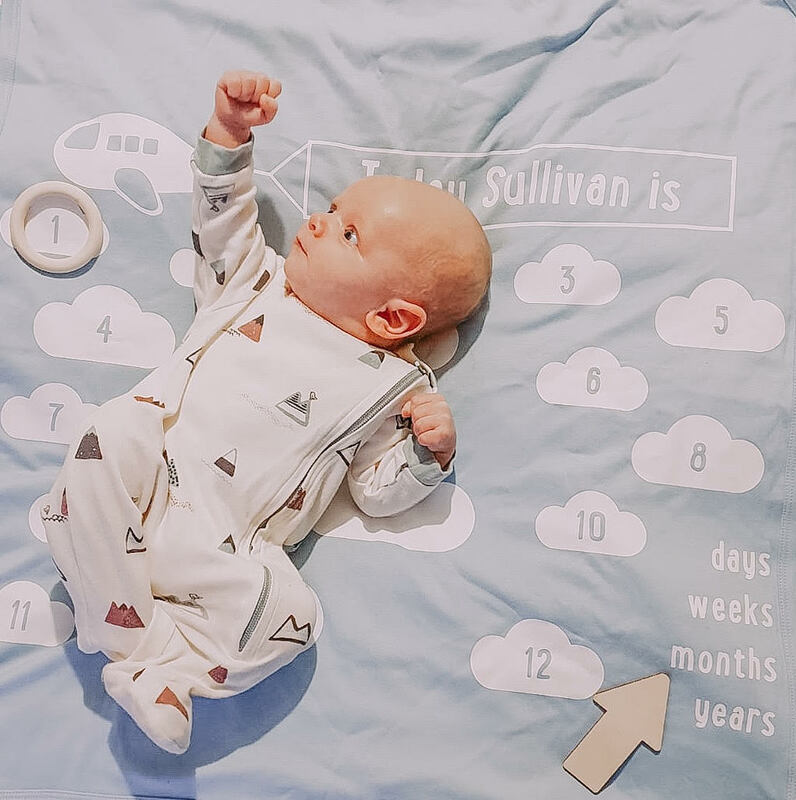 Our baby boy has just turned one month old and to us, it already feels like he’s not a newborn anymore. Feeding every two to three hours, 120ml, sending him off to sleep. Main naps are 7-9am, 10am-12.30pm and 2-4.30pm, with feeds in the night at 12am, 3.30am and 6am, give or take half an hour. He loves his milk and is regular as clockwork, needing a feed every two to three hours, day and night. Sometimes he will fall asleep during a feed, only to wake a finish it a bit later on. Sometimes he will take ages to finish it all, but is always determined that a bottle is what he wants. His eyes are becoming lighter and he looks like he can focus more on things, although when I look at him, he always moves his eyes off in another direction. During his awake time, he’s fascinated by lights, the shelves in our lounge and looking out the window. We can see he’s practising smiling and he’s making more noises now when he wakes up, like coos and sighs. Sulley is also very determined to hold his own head up. He’s done it on and off since being one week old but he’s really holding it up now when we sit him up and is getting good control over it. It’s far too early for this! 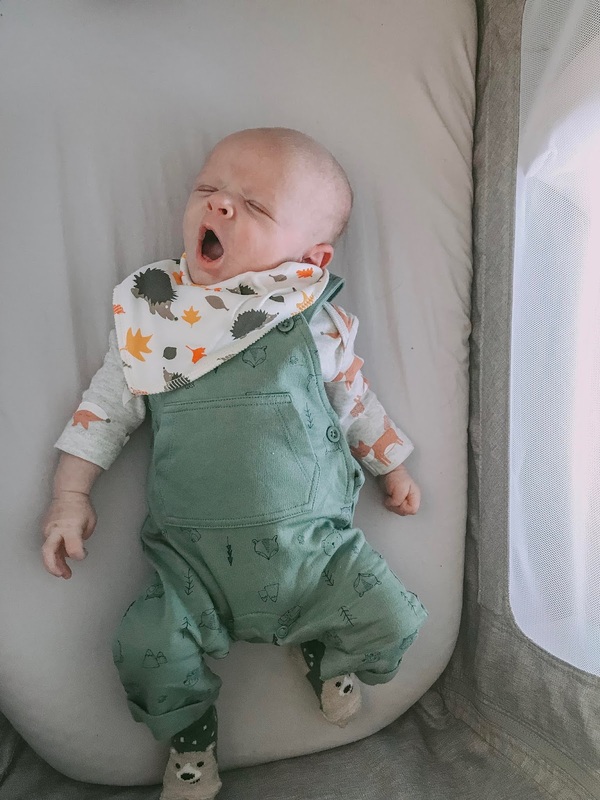 He doesn’t really cry, at least not properly, but does get upset after being awake for a little bit, mainly because he seems to have difficulty doing a number two (it takes hours of him straining and trumping before he’ll do a poo, usually at night). He’s generally very noisy, always making a sound of some kind. Being stroked on his cheeks. Lying on my chest to go to sleep. Pats on the bottom when he needs settling. Nappy changes, although these are getting better - it’s usually because he’s desperate for his milk! Bath time - being naked AND wet seems to be too much for him! Being left more than 10 minutes in his chair, on his cushion or on his play mat when awake, before he needs to be held again. He really doesn’t feel that small any more, and seems determined to grow quickly and develop even quicker in some respects. I would be surprised if he hits a lot of milestones early. 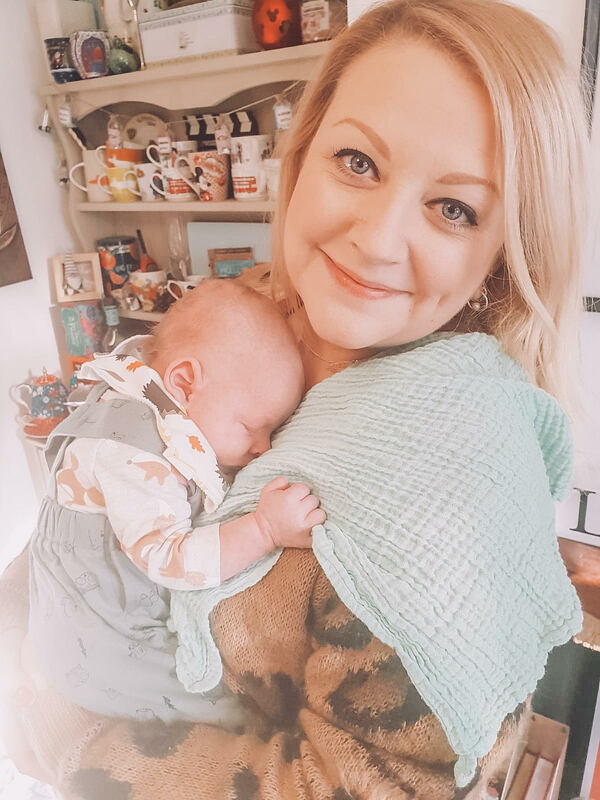 This time around, the impact of less sleep every day doesn’t seem to be so bad for me and maybe because we have done this before and we’re perhaps more relaxed this time around, it does generally feel easier. 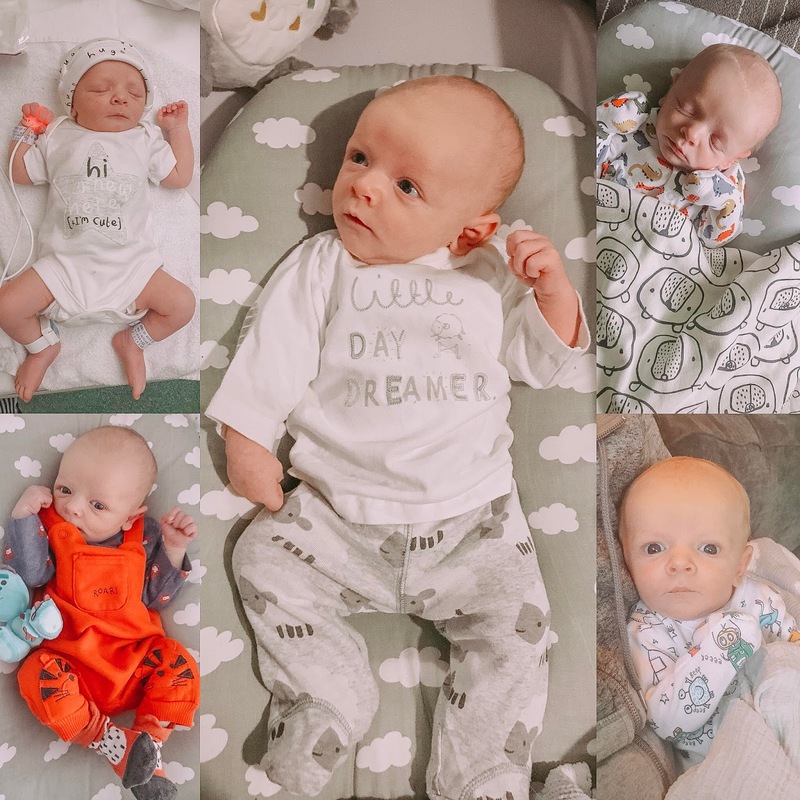 My own recovery has been much better this time too and Ethan has taken so well to being a big brother - he doesn’t wake in the night at all when we are up with the baby and is very affectionate towards him, and helpful as well. Sullivan is pretty content still and predictable too, with a clear routine he seems to stick to, which does make things easier and helps me a bit day to day so I can plan things around him. 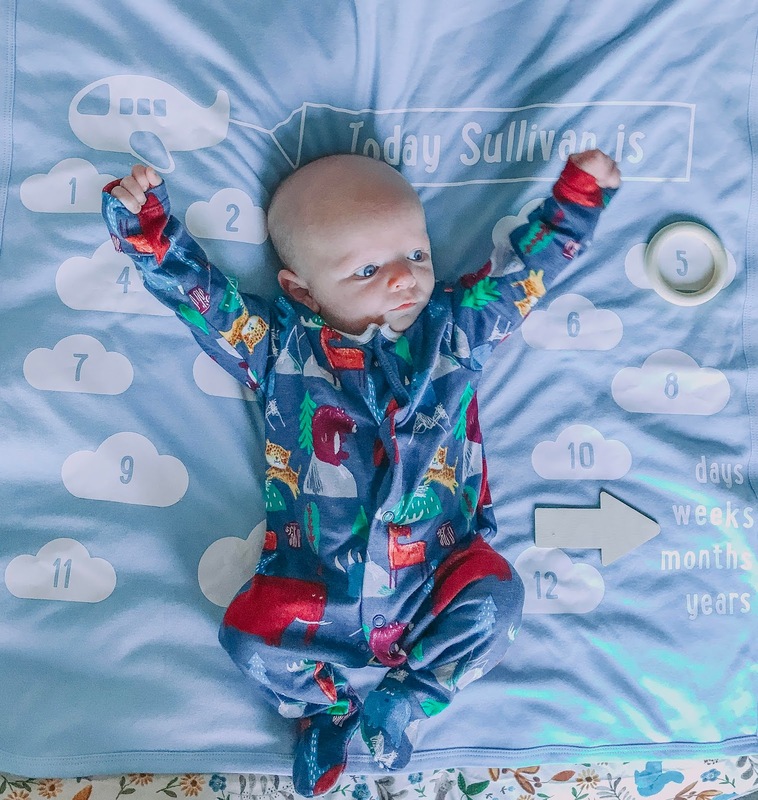 We do think he might have a touch of colic, as the past two weeks, he's been unsettled in the evenings and seems to have most the symptoms. Luckily, he still manages to settle during the night, but we are trying a few things to help out and see if we can make a difference. 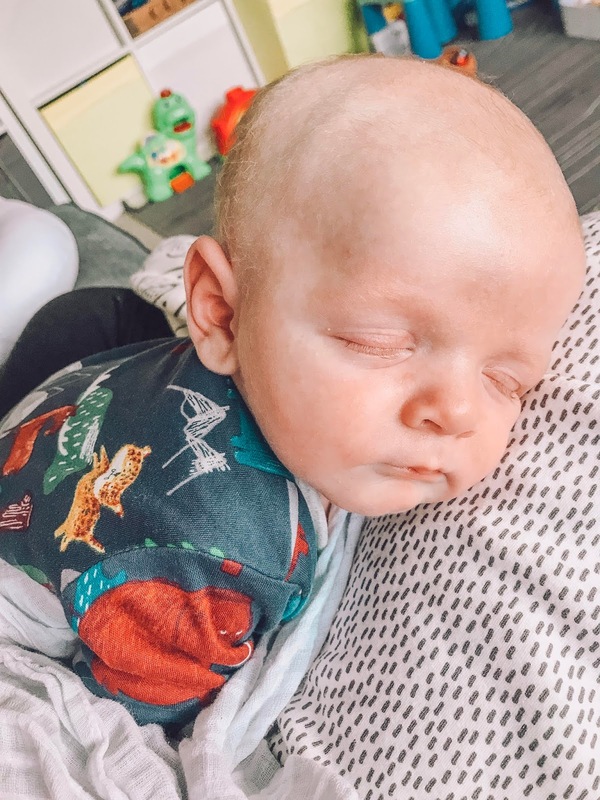 I’m enjoying cuddles whenever I can get them and trying to not rush at all on the days when there really is no rush, in an attempt to remember and enjoy every moment whilst he’s small. I’m still looking forward to the first real smile and more interaction from him, but these early days are so precious I’m not in a hurry either.